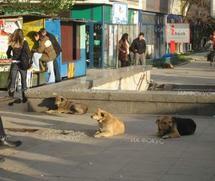 ​Stop public funding of cat & dog concentration camps across Bulgaria. 29th September, 2015 — Briefly after opening its autumn session, Bulgarian Parliament started a procedure of discussing amendments to the Animal Protection Act. Although there is a bill proposed by the cabinet, it just provides a few articles that would allow the executive to write its own regulation under the bombastic headline "A National Programme for mastery over stray dog population in Bulgaria." (4) Revoking so called "temporary dog pounds" that "shall be located outside settlements"
June 2015 — Brand new amendments to the Animal Protection Act were submitted to the Legislature. In January 2015, the cabinet issued a set of striking revisions to both Veterinary Practices Act and Animal Protection Act that would threaten current welfare status of Bulgarian companion animals. Bulgarian Animal Programs Foundation immediately opposed this trend by addressing Minister of Agriculture, publishing a petition and starting collection of signatures worldwide. Recently, government revoked all own striking revisions to the law. Roaming cat population shall not be a subject of a mandatory collection and questionable disposition through the animal shelter system as it affects the dogs. Entire cat population shall not be affected by shady schemes for microchipping and vaccination. And animal welfare advocates will not be excluded from compliance checks. However, we continue to be witnesses of an Bulgarian-style animal control that is out of control. We therefore urge National Assembly for all additional amendments as stated before agriculture minister early 2015. July 2015 — Bulgarian cabinet continues to pour millions to advertise country as an worth touristic destination. A total of 7.5 million Leva (about 3.8 M Euro) are intended to be drained from state budget this year only to promote country as an "attractive tourist destination with rich history and architecture, SPA resorts and beautiful nature". Bulgarian Animal Programs Foundation is opposed to this hypocrite campaign and calls people from around the world to stay away Bulgaria. Illegal pound seizure and pet theft are likely the main goals of the animal control across the country. We consider Bulgarian government as an unique European pattern of national authority hostile for cats and dogs, the voiceless human's friends. Acting on behalf of the animal shelter system and its shady contractors, local politics did nothing to solve the pet overpopulation problem. Bulgaria formally agreed in 2004 to the European Convention for the Protection of Pet Animals. Eleven years after, we are witnessing the government's outrageous disregard for key Convention's provisions. Bulgarian nation remains with no humane education programmes, in violation of Article 14. Remote places still remain with no provided spay/neuter services, in violation of Article 12. And organized activities such as collecting strays and pet trade remain totally uncontrolled, in violation of Article 8. So general public stay misled about the overpopulation issue and pet lovers continue to give kittens and puppies relying on "good homes available". BAPF urges people who are concerned about the inhumane treatment of pet animals to avoid Bulgaria as a tourist destination. ﻿Whose interests does serve the Mayor Fandykova's ''alliance for animals''? Unwanted dogs living in a central bus station in Sofia. In fact, so called "street" animals flooding the cities since 1990 are coming from the uncontrolled owned dog population.